The formation of Creative Scotland was first considered by the Labour Party when in power, prior to the rise in 2007 of the SNP, as a way of streamlining Scotland’s cultural needs by uniting the Scottish Arts Council with Scottish Screen in order to enhance and simplify the work of both. The creation of one big national arts agency was to answer all the questions that were being actively asked, by the creative sector itself and to a lesser extent the general public, about the future direction and social function of the arts and “creative industries” in a modern Scottish society. An interim company, Creative Scotland 2009, was set up to facilitate the transformation of the two component bodies into what is now Creative Scotland and so it came into being through the passing of the Public Services Reform (Scotland) Act 2010 and is now an executive non-departmental public body of the Scottish Government. promoting and supporting industries and other commercial activity the primary focus of which is the application of creative skills. These are such liberal and vague enough aspirations that no vague liberal could argue with them. Identifying, supporting, developing, promoting, encouraging, realising and understanding; these are the key words, and they are all very worthwhile verbs which should light up the artistic and social democratic heart. They are also the blather of management-speak which makes the poets heart sink. Creative Scotland may be the bi-polar child of government but make no mistake, it is our own schizophrenic creation. To the majority of people in the country the decisions taken by Creative Scotland are an irrelevant mystery, so number three of its six stated aims (or functions) needs drastic attention. For those who are artists of one kind or another, or work in the arts or “creative industries”, the decisions taken by Creative Scotland are equally as mysterious, so the first stated aim (or function) also needs drastic attention. As a writer my relationship with Creative Scotland is both tangential and subjective in as much as it stretches one way and another, from project to project, application to application, and some you win and some you lose and despite what the funding officers tell you I have no idea why one idea gets the nod while the other doesn’t, even if the amount in Box A matches that in Box B, which would appear to be a very important criteria. Every individual artist, unless I am missing something, has this relationship with Creative Scotland. The only difference between Creative Scotland and the Scottish Arts Council is that the artist could have a dialogue with the art form director, for good or ill, of the Scottish Arts Council and that direct connection seems to have been lost with the appearance of the portfolio managers at Creative Scotland. As you might expect the portfolio managers will think otherwise. But where we are at the moment is that we have a national organisation whose processes and funding decisions are “unclear, uninformed, disengaged, capricious and inconsistent” as one commentator has put it. The Scottish Arts Council went down under a tsunami of complaint. Creative Scotland is going the same way. The new complaints, however justified, have the same old ring of familiarity and inevitability about them. The recent main and justifiable complainers are companies that have been cut from the three-year fix term funded cycle. Now Creative Scotland are entering into a session of doubt and reassessment about some of their decisions, especially about the provision of theatre for children and the disabled. However well meaning this only shows political weakness and a lack of cultural awareness. The damage has been done and cannot be undone. There already is talk amongst the cultural parishioners about organising a national conference on the arts in Scotland. While this is no doubt well intended what Scotland actually needs is a national conversation with itself about its cultural life, whether on-line or in a given space, and like the National Assembly of the French Revolution this should be in permanent session. If the artists are not satisfied with the actions and decisions of the funding body the democratically elected government has delegated to make arts funding decisions then they had better address the government rather than its “executive non-departmental public body” which funds the arts in Scotland – i.e. Creative Scotland. To this end each artist should contribute to the formation of a resistance theory. That there should be more on the list, especially a children’s theatre company, a disabled persons theatre company, is a statement of the obvious and suggests a lack of vision concerning, for example, poetry and visual art. But a case could be made for any artform not represented. That is the problem. No politician is going to sign up to that. Artists on the other hand, when it comes to politicians, in my experience, fall into two rough camps: those who schmooze up to them because of their influence and for what they can get, and those who want to berate them (or worse) for their constant betrayals and their general barbarism. Governments tend to think in terms of what the arts can do for them, rather than what they can do for the arts. At election time no-one stops a candidate on the streets and lambasts them about the state of children’s theatre in Scotland or the lack of a film studio. There are no votes in the arts. Artists getting together to write their own manifestoes is not the answer either, no matter how heart-felt and revolutionary they may appear at the time. The history of the “artists manifesto” is not good. They tend to blow away like the leaves in Autumn. As in all areas of Scottish civic and political life strategic and specific decisions should be taken locally as much as is possible. This holds true for building regulations and planning permission as it does for the needs of an arts organisation or individual artist. Arts provision should meet the material needs of an individual artist but it must also meet the cultural and strategic needs of the nation. The current lack of satisfaction with Creative Scotland is a reflection of a general dissatisfaction with the condition of our democracy. Our devolved parliament is a half-formed thing with limited powers and an umbilical chord to the “great corruption” of Westminster. Until that chord is severed and a real Scottish democracy is born then we will continue to struggle with ill-conceived versions of civic virtue such as Creative Scotland. The structures of our government led institutions make beggars out of all artists. They ask us, if we are organisations or companies, to stretch out to the end of the financial year. Or, if we are unlucky enough to be poets, to stretch to the end of the financial week. Sadly, we have grown too used to our artistic and cultural bodies being run by those who are strangers to the aspirations and needs of the people and our nation. They do not know our languages or our landscapes. When there is one who comes to lead a company who, unusually, has emerged from within us, we rejoice like children out of wonder and relief and we flock to them hungrily, madly, gratefully, joyously, unrealistically, singing “You know the names of the mountains and the rivers. You have listened to the songs of the bards and the skalds. Lead us to the promised land!” This, of course, is desperate and ridiculous. But that is how sad it is, how lonely it is to be a stranger in your own country, where the amount in Box A never corresponds to the amount in Box B, where the poets who come out of the ground have a thesaurus of silence forced upon them by those in power who do not recognise their words as language. If we are to interrogate the practice of Creative Scotland then we must also subject the entire gantry of our humanities to a similar scrutiny and if and when we do we will find them neglected and in need of restorative attention and tender care: universities, conservatoires, schools – the lot: all need radical reform. What we need is a new resistance theory to counter the self-serving monetarist agendas of these institutions who are so palpably failing both vocational training in the arts and the imagined future of our country. A new Scotland will be created out of a radical philosophy of creative participation with poetry at is heart, not disappointment. I find it fascinating to reflect on the fact that Robert Burns became what we know now after spending only two and a half years at his village school. That was the sum of his formal education and it was over by the time he was nine. There were brief periods after 1768 when he spent a few weeks here and there (Kirkoswald and Dalrymple parish schools, for example) revising his English grammar, improving his handwriting and learning mathematics and some geometry. Added to that was the influence of his father, William, who unusually for the time bought books for his sons, and then there was the teacher John Murdoch who tutored the young Robert when he boarded with the family and visited them often when he taught at Ayr. However, the main influence on Burns was the Presbyterian tradition of scrutiny in political thought, which holds that the right to resist bad kings and government is ultimately ascribed to the people as a whole and not confined to the nobility or their magistrates. This resistance theory, debated continually as Burns grew up, was best described in George Buchanan’s “De Jure Regni Apud Scotus, or The Art and Science of Government among the Scots” (1579) which is a defence of the action of the Scots in deposing Mary Queen of Scots in 1567. It is ironic concerning Burns, who is so well known for his satires against the Kirk, especially “Holy Willie’s Prayer”, that most Scots are unaware just how much the poet’s political philosophy was formed by this Presbyterian tradition and from his religious inheritance. These influences included Calvinist “resistance theory”, where the individual was at liberty to interpret the scriptures for themselves and to question the conditional nature of civic authority, and the revolutionary principles and radical theories of the Scottish Enlightenment which both inspired and embraced the American and French Revolutions. At the base of this was the work of George Buchanan, the great polymath of the 16th century, whose writings were the first to popularise the right of the ordinary people to resist the tyranny of kings and governments. Buchanan articulated, and Burns absorbed, the old Scottish instinct that authority ascends from below, that government is a contract with the people and that political power is held in trust and if that trust is broken the ordinary people, however poor of disadvantaged, have the right to censure or even remove or execute those who abuse that power and betray that trust. This idea is fundamental to what Scotland was, is currently not, but will become again. Where, one wonders, does all that leave us with the latest stushie with Creative Scotland? Well, it is intolerable that Scottish artists and writers be made to feel like beggars by an institution that formulates decisions from some kind of lottery, and that artists cannot thrive unless they are embedded within similarly flawed institutions such as universities and government sponsored posts of one kind or another. Part of any new resistance theory must be that art and education are two sides of the same coin and that the arts can be used to liberate the imagination of the child (and the people) and help deliver the aspirations of the curriculum and society. If an intense but limited education can produce a Robert Burns in the 18th century imagine what an enlightened educational system can produce in the 21st? I know it is of no help to anyone currently engaged in artistic damage limitation to suggest that however we fund the arts in Scotland now it can only be a truly just, representative, responsive and innovative process when it is conceived and brought into being in the political reality of an independent country. I subscribe to that resistance theory. Quite. And of which there are many, receiving much! Good article with lots of truth in it. Thank you. Remember the 2014 Edinburgh International Festival? Our single biggest Scottish cultural event. Which would NOT be addressing the live independence referendum because….? Why? Would this happen in any other country outside of a dictatorship or Junta? I think you are on to something here George. ‘Resistance Theory’. “A new Scotland will be created out of a radical philosophy of creative participation with poetry at i(t)s heart…”. (I presume you missed the ‘t’there but now Im not so sure. I hope I haven’t ruined the structure of your prose George). Why didn’t I think of that? ‘The Resistance Theory of Poets’. Hows it going to work? Am I thinking what your thinking George? the complete withdrawl of labour? Do you think that will make them see sense? no more poetry? down pens? A mass walk out, romantics and rappers together? It a long shot but it just might work. Well, Richard, despite your sassy tone, thankyou for that. I was thinking more of a general resistance to the general on-going corruption. Well done for spotting the typo. One always gets through no matter how often you check it. The state would shake in its boots, would it not, if poets went on strike? Leavergirl, I wasn’t recommending institutionalizing our bairns, in fact the very opposite. The point about Burns was the extent of his actual education as opposed to the shortness of his formal education. He learned a lot of what he became through debating groups, discussion and conversation. What is currently preventing Scottish creatives self-organising (along anarchist lines): have they become too institutionalised? Is that perhaps the purpose of these state institutions? One difference between Burns’ time and ours is presumably the intellectual property legal sphere. Without a modern creative commons, competition may militate against the kind of cooperation that would bring about a revolution (if it hasn’t already happened; not sure I’d notice a revolution of poets, operatics, musicians, dancers and such right away, not least perhaps because the overuse of the word). Please enlighten me. What is this thing about, “From The Province of The Cat”? Oh Lord, what a price for devotion”. The pity of that is that Behan’s satire more closely resembles Creative Scotland than does Buchanan’s philosophy. And forget the universities – they’re run by accountants. But who do we have running the arts in Scotland? And what would THEY know about Scotland’s artistic ethos? The business speak gobbledygook tells us all that we need to know. Once again George, you hit the bullseye! The Province of the Cat is the old name for Caithness and Sutherland. Cait (Gaelic) meaning cat and Ness (Norse) meaning point or headland, so headland of the cats. Harks back to old Pictish, or before, tribal totems. The people of Sutherland are known as Cattachs. The 19th century historian, Angus Mackay, wrote that Caithness and Sutherland were “radically identical” which I thought was a great phrase. I wrote a book about it all called “The Province of the Cat”. You can get it from the Islands Book Trust or from Amazon, but if you buy it from the big A i get next to diddly. 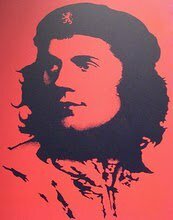 “A new Scotland will be created out of a radical philosophy of creative participation with poetry at is heart, not disappointment.” — To assume that a new Scotland can only be created with poetry at its heart is arrogant and selfish nonsense. It might have escaped your blinkered reading, but most poetry is not radical, never mind philosophical, and why it should be at the heart of our nation, instead of love, or kindness even, is something that must be known only to a poet narcissist. You seem to luxuriate in the pretences of Heidegger where your words are a paltry alternative to good faith. Dear Alasdair, I think you you get me wrong. Love and kindness should be at the heart of everything, they are the engine that drives our resistance to corruption. You are also, I fear, misguided about poetry. Poetry is the art of language use. It liberates. I do not “luxuriate in the pretences of Heidegger” – the very thought! – rather I share and celebrate the vision of Heine and Henderson: poetry becomes freedom/poetry becomes people.